The United States Fish and Wildlife Service, the federal agency citizens rely upon to be in the vanguard of safeguarding the health of America's wildlife, is committing gross negligence with the way it is managing the nation's most famous elk herd in the Greater Yellowstone Ecosystem. That’s the charge leveled Monday in a lawsuit filed by Earthjustice on behalf of three conservation groups seeking to halt the practice of artificially feeding nearly 10,000 elk at the National Elk Refuge in Jackson Hole, Wyoming. The legal push coincides with recent affirmation that the deadly infectious pathogen, Chronic Wasting Disease (CWD)—a cousin to Mad Cow Disease—is already likely present at the Elk Refuge, with artificial feeding of wapiti creating ripe conditions for a potential catastrophic outbreak. In December 2018, Earthjustice, along with Defenders of Wildlife, the Sierra Club and the National Wildlife Refuge Association, sent a letter to the Elk Refuge warning that they were considering taking court action, alleging refuge managers were in breach of federal code and promises made a decade ago to stop feeding elk because of the CWD menace. Acting on their threat, the group's official complaint, filed March 18 in U.S. District Court in Washington D.C., ultimately seeks to force the refuge to take swift action in ending feeding that dates back to the dawn of the 20th century..
CWD is considered one of the most worrisome emerging zoonotic diseases in North America, with it already reaching wildlife populations in more than two dozen states. Afflicting members of cervid (or deer) family, white-tailed and mule deer, elk and moose are in danger of catching the degenerative brain disease which is always fatal and there is no cure or vaccine. In recent months, concerns from public health officials have also elevated discussion of CWD potentially jumping the species barrier, just as Mad Cow Disease did in Britain, moving from animals to people who consume contaminated meat. While there’s no documented case of humans getting sickened with CWD by eating deer or elk, rising numbers of infected animals and more people consuming them has only heightened the worry. Read Mountain Journal's story "Public Health Official: Chronic Wasting Disease Seems Bound to Infect People." 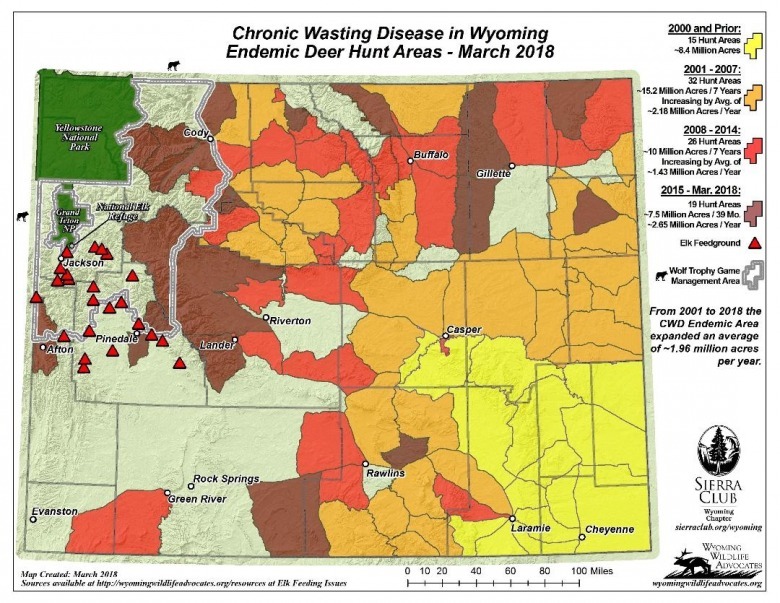 For years, the Sierra Club and Wyoming Wildlife Advocates have been tracking the march of Chronic Wasting Disease, based on state data, from its original hotspot in the southeastern corner of the state (marked in yellow) toward the Greater Yellowstone Ecosystem. Yellowstone National Park is marked in green. In recent years the spread has accelerated and the brown coloration shows how CWD is now present in deer in Jackson Hole and literally on Yellowstone Park's eastern doorstep. Many experts believe that its confirmation in elk is imminent and could be game changing for the health of the region's famous wapiti herds. Wildlife managers, including the former national chief of animal health for the Fish and Wildlife Service, have been raising red flags about the rapid geographic expansion of CWD in Wyoming and its move toward wildlife in Greater Yellowstone—America’s premier wildlife ecosystem—for decades. For its part, the state of Wyoming has consistently balked at pushes made to stop the artificially feeding of wildlife at 23 different sites in the western tier of the state, including at the National Elk Refuge. This winter, more than 20,000 elk have access to the complex of feedgrounds and experts say they are likely coming in contact with CWD-infected mule deer, shedding prions which cause the disease through saliva, urine, feces and tissue decomposition of winter-killied animals. Prions can persist as infectious agents in the environment for decades. CWD has long incubation times and can be slow to affect herds at the population level but with it in animals that can migrate hundreds of miles, the pace of spread appears to have quickened. Wyoming’s refusal to shutter its feedgrounds has drawn sharp rebuke, including ridicule from wildlife commissioners in neighboring Montana who in 2017 asked for cessation of elk feeding, arguing that it represented to the health of migratory wapiti herds flowing in and out of Montana from Wyoming. 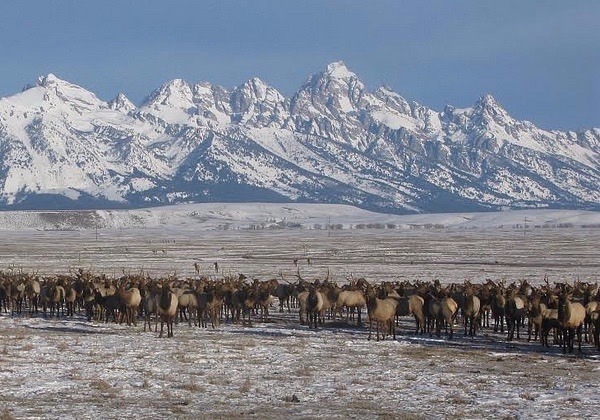 Telling is that some research modeling has suggested that CWD, were it to take hold in Greater Yellowstone elk herds with certain genotypes, there is the possibility of them going extinct by the end of this century. 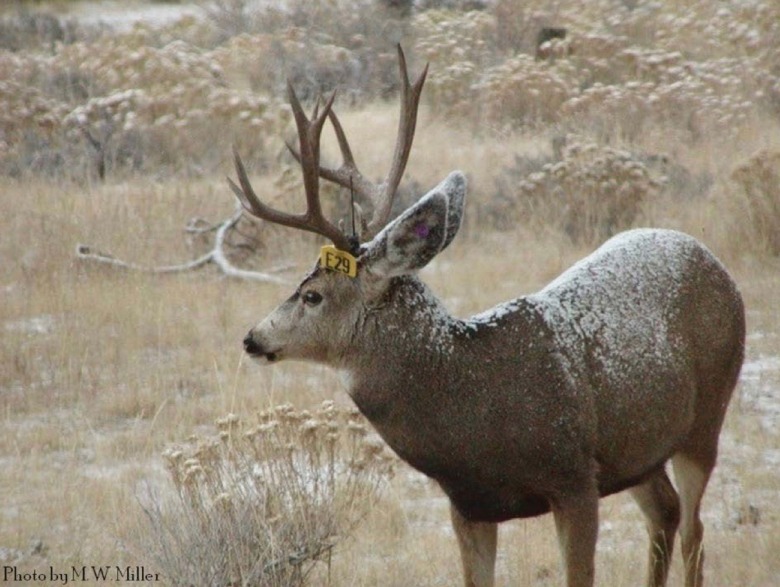 Similar research has predicted similar outcomes for mule deer herds, which, at present, are being harder hit by disease, especially in the southeastern part of Wyoming. CWD reached south-central Montana, via mule deer from Wyoming in 2017, and the disease is advancing on Idaho from Wyoming and Montana. CWD also entered Montana from the north via wildlife passing across the international border with Canada. Never in the Lower 48 has CWD entered an ecosystem with as many different members of the wild deer family as the numbers that exist in Greater Yellowstone where wildlife contributes to a lucrative nature-tourism and hunting economy. Despite that, judges with the court said they would allow the Elk Refuge to voluntarily make good on its promise of phasing out feeding and, at the same time, noted how the science confirmed the clear and present danger were to fail to act. Preso says the Fish and Wildlife Service has now made it clear that even with CWD on its doorstep it has no intention of making good on its commitment and thus it is breaking its own laws requiring it to protect ecosystem health. In internal communication obtained by Earthjustice and its conservation organization clients through the Freedom of Information Act, Preso says the federal agency has bowed to pressure from Wyoming politicians that do not want to end feeding because it economically benefits outfitters and guides by inflating the number of elk that stay alive and are available for hunting clients. Ranchers also desire feeding to continue because they do not want wildlife competing with their cattle for feed, even though most admit that feeding has increased incidence of brucellosis in wildlife and increases the menace of CWD. Revealing is that Elk Refuge Manager Brian Glaspell, in speaking at the Northern Rockies Conservation Cooperative’s Biennial Wildlife Symposium in early March 2019, acknowledged that the science justifying the need to stop feeding was compelling and incontrovertible. Preso, however, says that Wyoming politicians “have handcuffed” the Fish and Wildlife Service by pressuring political appointees in the agency not to take action, which is only setting up elk herds for disaster. 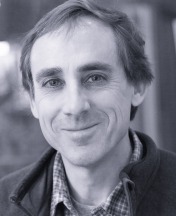 Those assertions are explored in depth in the book “Where Elk Roam: Conservation and Biopolitics of Our National Elk Herd” by biologist Bruce Smith, who worked at the Elk Refuge for 22 years. The threat of CWD also is explored in an ongoing investigative series published at Mountain Journal which you can read by clicking here. In September 2018, U.S. District Court Judge Nancy Freudenthal in Wyoming forced the Forest Service to go back and re-analyze its controversial decision to allow a state-run elk feedground to continue operating at Alkali Creek northeast of the Elk Refuge in the Gros Ventre Mountains until 2028. Western Watersheds Project, the Sierra Club, Wyoming Wildlife Advocates and the Gallatin Wildlife Association challenged the approval and said the Bridger-Teton National Forest did not adequately consider the negative impacts, nor the cumulative effects of all feedgrounds in elevating the risk of disease. Preso says that should CWD prions ever mutate and become capable of infecting humans or livestock it would radically alter lifestyles in the West, both economically and socially. The best course of action is precaution in eliminating the most obvious trouble spots. The Greater Yellowstone Ecosystem is comprised of a mosaic of public and private land with the vast majority of its 22.5 million acres managed by the Forest Service, National Park Service, Fish and Wildlife Service and federal Bureau of Land Management. Although an entity called the Greater Yellowstone Coordinating Committee has existed since the 1960s and its whole purpose is supposed to fostering regional strategies to confront major issues, critics note that it has done practically nothing to uniformly confront CWD—even though it has known of the disease’s progression for decades. Mountain Journal has spoken with both active and former senior managers serving on the GYCC and they expressed frustration at the lack of action. PLEASE SUPPORT US: Mountain Journal is committed to giving you free reads you won't get anywhere else, stories that take time to produce. In turn, we rely on your generosity and can't survive without you! Please click here to support a publication devoted to protecting the wild country and the wildlife you love. Map compiled by USGS showing states where CWD exists in wildlife and captive game farm animals, including Alberta and Saskatchewan in Canada.